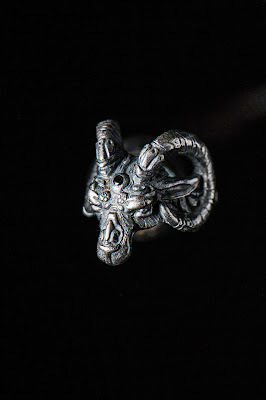 We revised this ring three times and took a while to sculpt her. 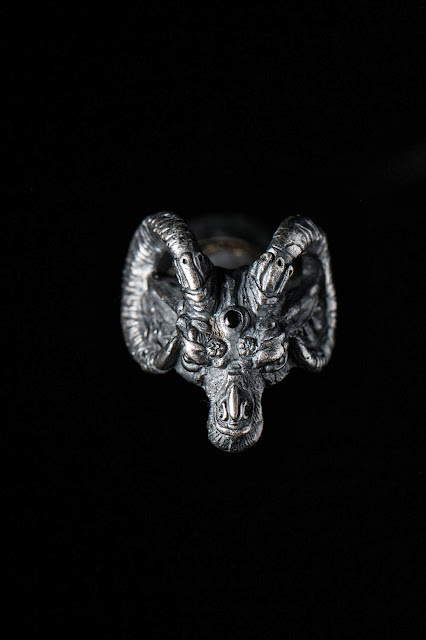 Dark Einjel as a tribute to the owner. 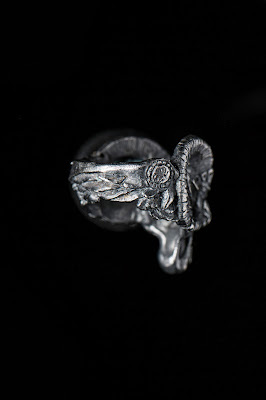 A ram with wings and an Onyx feathers close the circle. 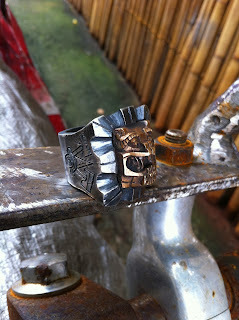 Recently we were comissioned to do a special ring for a friend in Mexico. 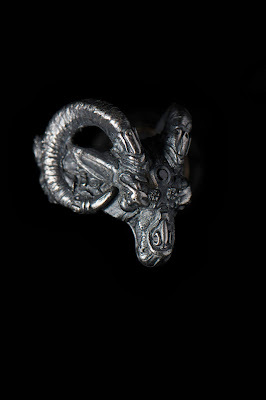 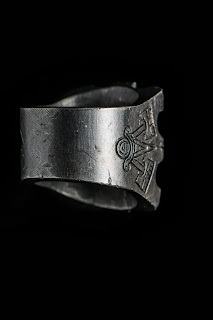 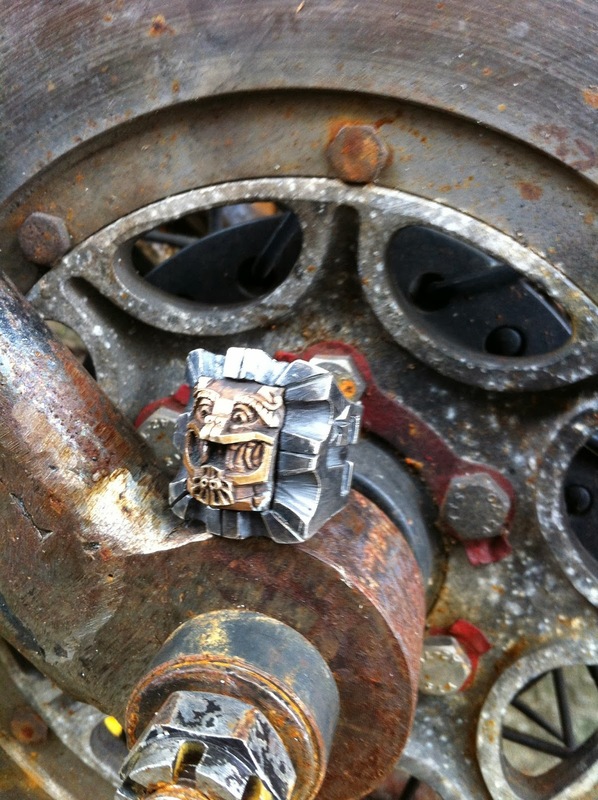 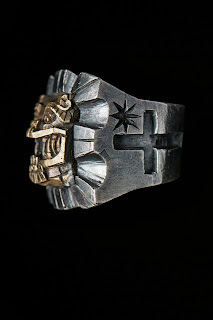 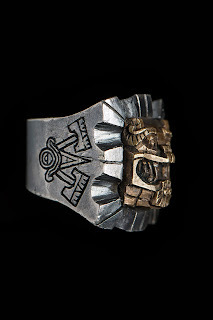 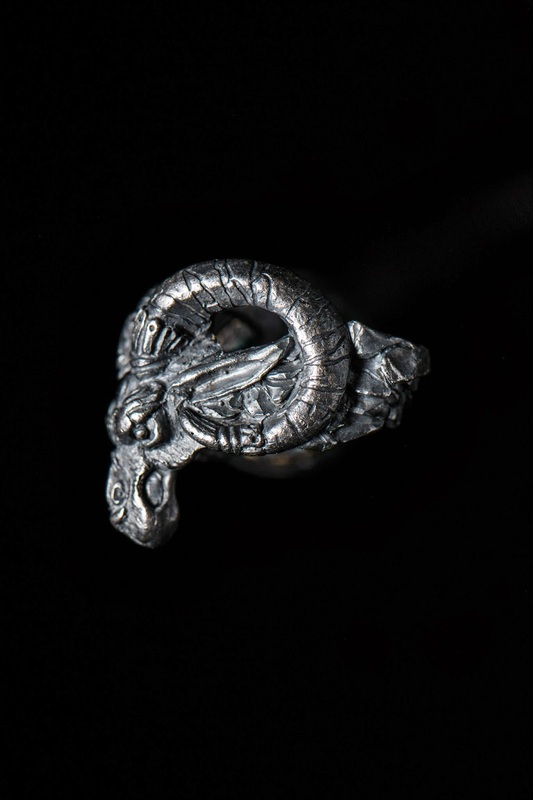 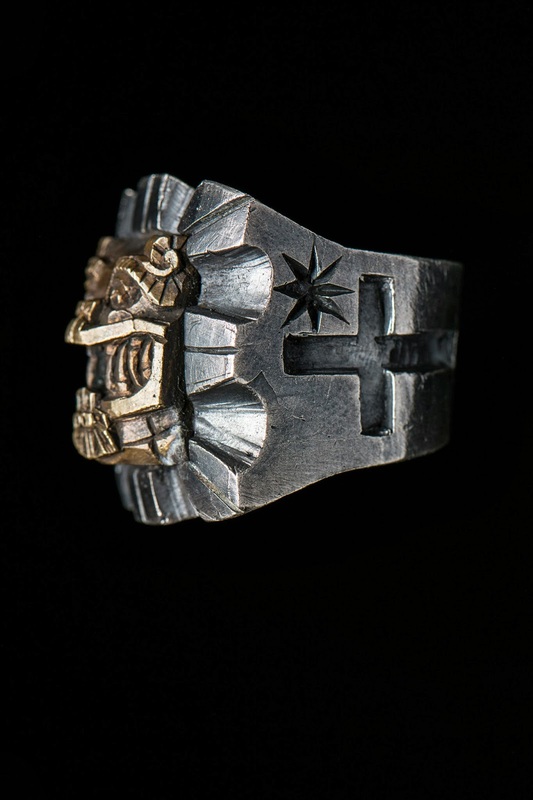 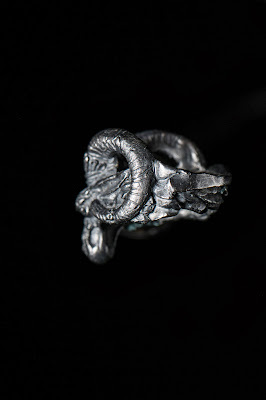 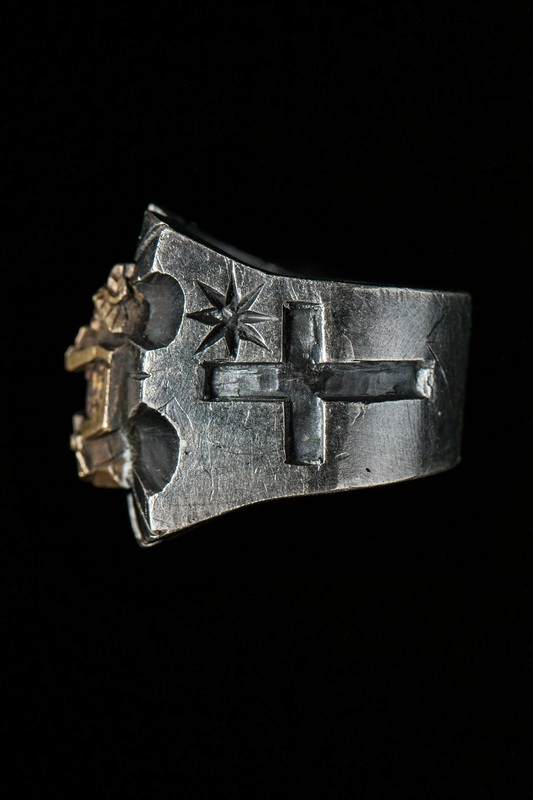 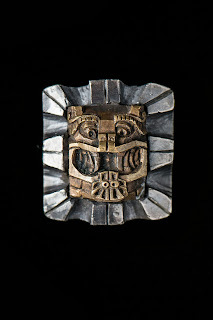 Mexican biker rings and inlayed it with the brass serpent. as a homage to the famous engine. Quetzalcoatl /ˌkɛtsɑːlˈkoʊɑːtəl/ (Classical Nahuatl: Quetzalcohuātl [ketsaɬˈko.aːtɬ]) is a Mesoamerican deity whose name comes from the Nahuatl language and means "feathered serpent". 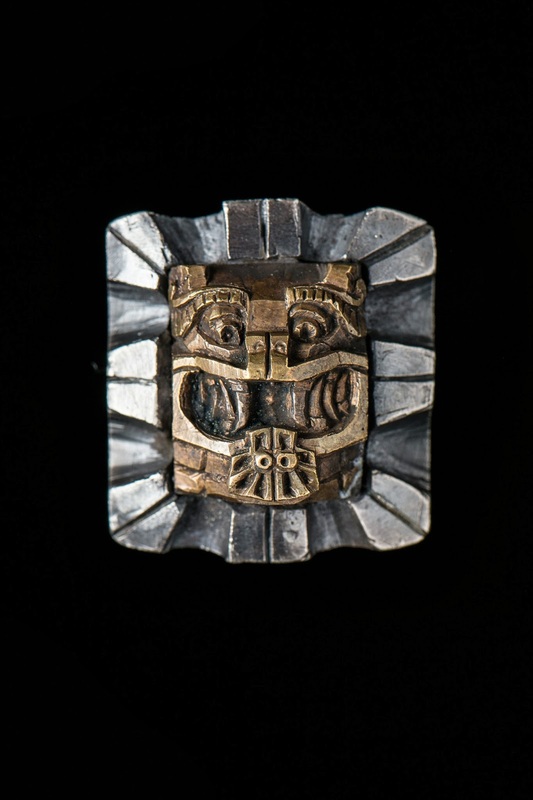 The worship of a feathered serpent deity is first documented in Teotihuacan in the first century BC or first century AD. That period lies within the Late Preclassic to Early Classic period (400 BC–600 AD) of Mesoamerican chronology, and veneration of the figure appears to have spread throughout Mesoamerica by the Late Classic (600–900 AD).